Fitness Democracy! The first free sweat search built of, by, and for the people. Access and information for gyms, studios, classes, fitness events -- anytime, anywhere. Complete the form and we will get back with you for inclusion. Please complete the contact form and we will get back to you shortly. The first step to having a wellness location included in the directory is completing our contact form.. Precise geo location, detailed descriptions, class schedules, facility ammenities, links to photos and more. Once your fitness location is included people will be able to check-in at your facility. The more they check-in, the closer they will be to reaching their wellness goals..
By click submit button you're agree terms & conditions! Earn sweat tokens for meeting fitness and wellness goals. A decentralized system where you are securely issued FitBank tokens based on meeting your wellness goals. Incentive based wellness programs are key to developing healthy habits that yield long-term health benefits. A token that is not purchased, but earned through sweat, smart choices and education. Leverage fitness to build brand by having a positive engagement with your employees or customers. FitBank is a fully customizable, digital incentive program embedded in the FitBank.works Global Gym app. Companies, communities and social groups can use FitBank to create challenges and obtain fitness analytics. FitBank members are free to work out when and where they choose and track their personal metrics. FitBank multiplies members' fitness ROI by incentivizing (and rewarding) consistent commitment. Take advantage of a complete program that addresses fitness, healthy eating, sleep and stress management. What does the FitBank program include? FitBank is a comprehensive digital platform designed to engage both customers and employees around fitness. Participants can check-in at fitness locations, receive meal plans, take advantage of wellness related educational material, events, wellness goal planning, incentives plan, online coaching and more. FitBank works for many people because it combines incentives toward wellness goals while providing motivation throughout the process. Rewarding behavior based on goals lays the foundation for healthy competition among participants which has been shown to improve adherence. Intrinsic motivation toward an activity will heighten the associated positive affect, thereby leading to greater participation and higher satisfaction. The combination of rewards, competition and motivation is effective in creating healthy habits. A program built on positive rewards helps build the confidence that is critical to establishing a routine and is at the foundation of FitBank. Why do my employees and/or customers need FitBank? A 2014 report by the Centers for Disease Control and Prevention (CDC) found that 69% of Americans 18 to 24 years of age failed to meet the federal guidelines for physical activity, which is 150 minutes of moderate-intensity exercise per week. The United States has worse health outcomes than many other developed nations. This is true even though we spend almost twice as much on health care. A lack of healthy habits and wellness literacy are the root causes for the unhealthy state of Americans. 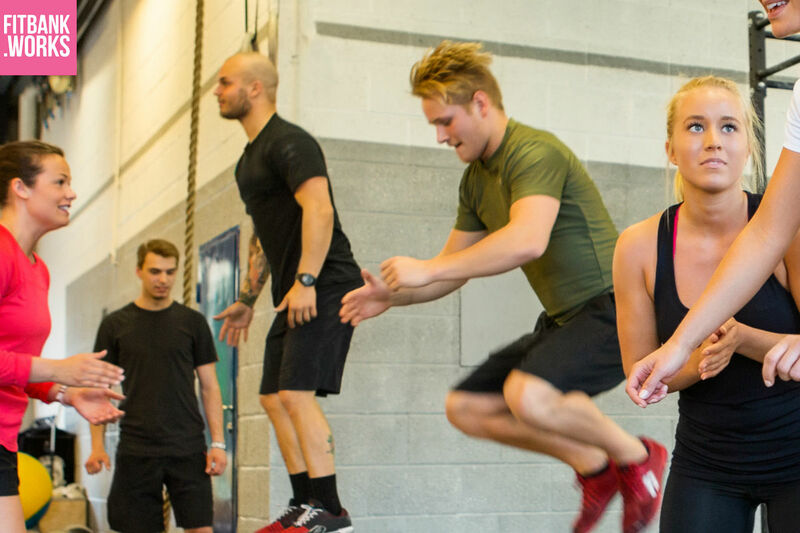 Customer and employee engagement around fitness has been shown to significantly improve brand awareness, coupon redemption and participant satisfaction. A Fitbank pilot program in the San Francisco bay area at Andronico's Community Markets exceeded program goals among more than 5000 customers and 100 employees. Program participants where challenged to exercise more than three days a week. Using the FitBank iOS app, participants checked-in at their fitness locations and received healthy consumer products at ACM stores at the end of each month. Pilot results demonstrated that the FitBank program exceeded engagement goals. For a presentation on how your company can benefit from FitBank, pleade call us or email info@fitbank.works. FitBank.works - engaging you customers and employees via healh and fitness incentives and motivation.